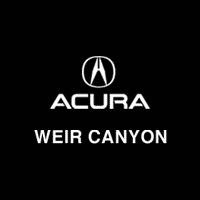 Weir Canyon Acura has plenty of luxury Acura vehicles to offer Costa Mesa and Tustin drivers – from the Acura TLX to the tow-friendly Acura MDX. But beyond our selection, we have plenty of lease specials, finance offers, and other incentives for our customers to enjoy. Take a look below at our specials. Apply for financing to get a head-start on the process. Leasing or financing your next new Acura shouldn’t cost an arm and a leg. Rather, it’s a good idea to choose a dealership that takes your financial needs into consideration – and that’s why Weir Canyon Acura is here! We’re committed to giving you great prices on great vehicles. So beyond our national offers, you can expect to find plenty of new vehicle specials and lease specials – only bettering your bargain. If you’re ready to take advantage of our lease specials and finance offers, you’ll want to visit us! We’re here to provide you a friendly, hassle-free experience. Ready to get started? Calculate your estimated monthly auto loan payments, and then complete this easy-to-use and secure contact us form. This form asks you to enter in basic biographical information. In the message box, express your interest in Weir Canyon Acura’s national offers. That way, we’ll know exactly what you want!